Mathematics on creating the group's iconic logo and producing its latest album. 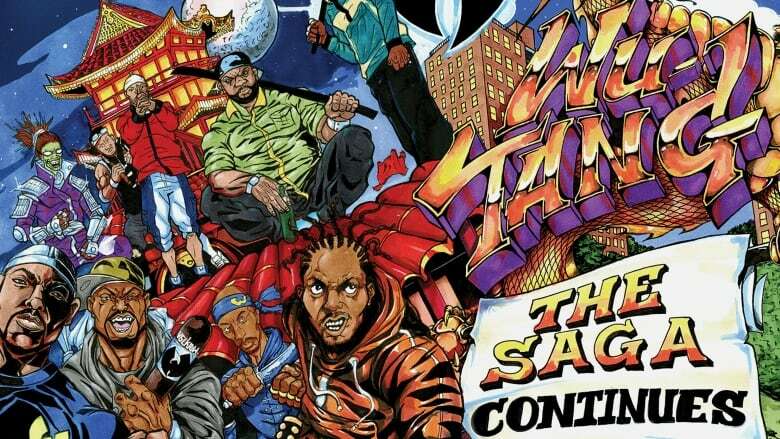 When Wu-Tang Clan dropped its debut album, Enter the 36 Chambers, in 1993, little did the Staten Island-based collective know they were making history. Considered one of the greatest rap albums of all time, 36 Chambers set the template for Wu-Tang's massive influence over the genre. A huge part of that, of course, was the mythology around the group, whose members portrayed themselves more like superheroes than musicians. 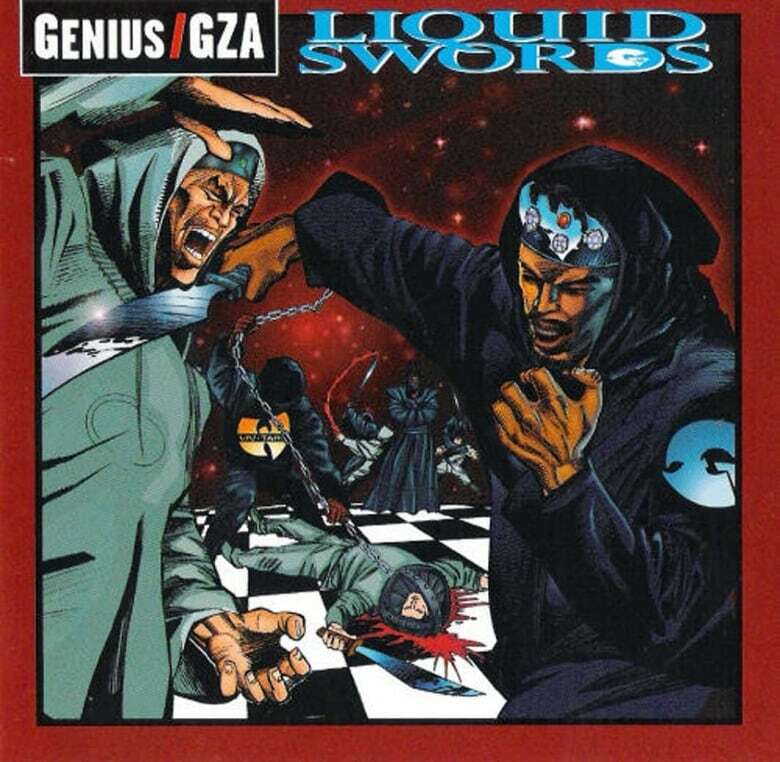 From names that sounded like they were pulled straight from the kung fu movies that were sampled throughout the music, such as RZA and GZA, Raekwon, Ghostface Killah and Masta Killa, to their name for Staten Island (Shaolin), Wu-Tang managed to capture the imagination of rap fans everywhere. And of course there was the iconography, which include the W stencilled onto every teenage rap fan's school binder. The man behind that iconic logo, Ronald Bean, a.k.a. Mathematics, is also the producer behind Wu-Tang Clan's latest album, The Saga Continues, and has been there since before day 1. "Pre Wu-Tang," says Mathematics over the phone. "When you're in the moment, you're just doing it and don't really see it. You plant a seed in the ground and you don't realize how big a tree it's gonna grow until it actually does, that's how it was for me. Sometimes even now it's a little surreal, like wow, I actually did the Wu-Tang W. That's crazy." Below, Mathematics takes us through the origins of some classic Wu-Tang artwork, including the very first W, discusses the pressures of recording a new album and reflects on what it takes to get nine grown men who haven't always seen eye-to-eye to work together. "Basically, that goes back to RZA, Prince Rakeem was on Tommy Boy Records. He had the thought to do this a long time ago as far as even Wu-Tang. He was like, yo, I want to make these stickers that say Wu-Tang for promotion. I was like, that's cool, I was into the karate flicks, he knew I did graffiti back then. That was the first piece of work [for] Wu-Tang that came out, graphically. He was like, instead of doing the whole Wu-Tang, why don't we just use the W and let's make a head being taken off or something? I drew the W and it had a hand coming out of it, holding the head, like it was a dude with dreads with blood coming out and it was like, nah, that's too gory. "Later, he was getting ready to print [lead Wu-Tang single] "Protect ya Neck" and he called me up. 'I need a logo and I need it tomorrow.' Damn, alright. I was living in 40 Projects [in Jamaica, Queens] at the time, I went to the store and got me a 40-ounce of Olde English 800 — we called it Old Gold — [and] a Philly blunt and rolled up some chocolate Thai, smoked that, set that on the floor and I drew the logo. It just came out. I did graffiti so i had this type of lettering down already, it was basically one of my letterings." "It was a chess game, but it's like, you got your pieces, you got your queen, your knights, the pawns, the queen is fighting, the kings is in combat. That's what it was out there, like we play chess, but instead of using the pieces, let's use two sides going against each other. I went to school for graphic arts, loved karate flicks, so all that plays a part." "You dealing with Wu-Tang, so the bar is set real high. … RZA came to me and he was like, yo, I think you should produce the next album, 'cause he heard how my beats was going at the time. It kinda threw me back. I didn't think I was ready. Plus, seeing what he had to deal with, nine grown men that have grown and developed — next year will be the 25th anniversary — and everybody goes in their own directions and gets their own way of seeing things. That's a heavy load." "At one point I thought, I'm not listening to anything else, I'm just going to do what I'm doing. I shut out all music except two albums, Enter the 36 Chambers and Dr. Dre's The Chronic 2001. That's how it really started, trying to perfect my craft. I started putting these tracks together, and being on the road with Method Man the majority of the time, he was hearing what I was doing and he was all in. That's why he's on a lot of tracks. His sword is sharp and I know you can hear it."